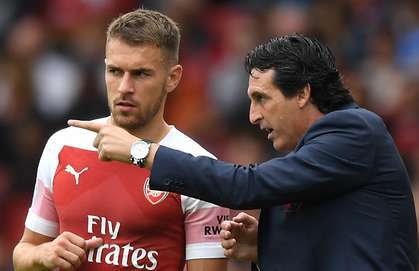 Aaron Ramsey is frustrate with how the Wales international is being portrayed in the media amid protracted contract negotiations with Arsenal, according to a report in England. Website Football.London, as quoted by The Sun, is reporting that the Welsh midfielder is upset the Gunners and how the negotiations are unfolding in the public eye. The same article states that the Gunners are still confident of securing Ramsey’s future before his contract expires at the end of the 2018-19 Premier League season. According to the same story, Arsenal’s Premier League rivals Chelsea FC and Manchester United are being linked with a potential swoop to sign the former Cardiff City man. Ramsey is set to become a free agent at the end of the current Premier League campaign unless the two parties can agree a new deal with the north London outfit.